Warrants were issued for 59 people as part of an investigation into the Gulen movement, state-run Anadolu news agency reported on May 30. 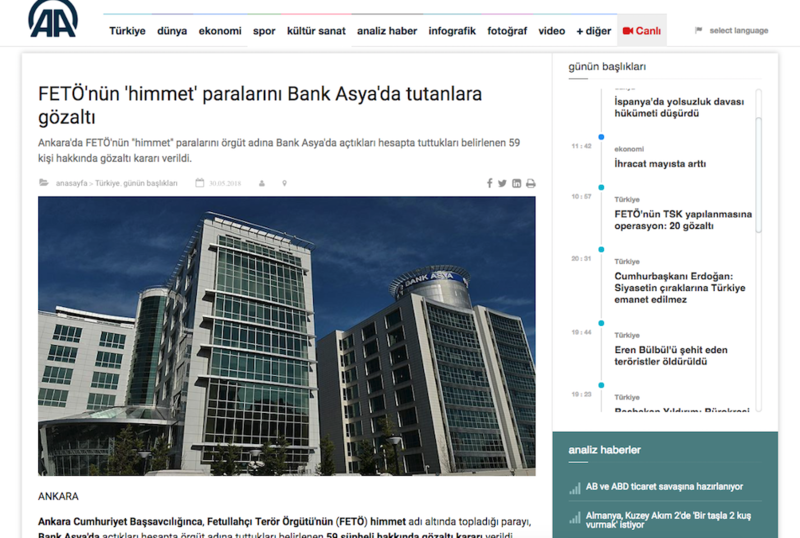 The Ankara-based investigation implicated 59 people who are accused of having deposited donations collected on behalf of the movement into Bank Asya accounts. 29 out of 59 were detained as a result of initial police operations, Anadolu said. Turkish government blames Gulenists for the July 15, 2016 failed coup while the group denies involvement. Having Bank Asya account is considered a sign of links to the movement.